The spectacle and skill of world-class football is undeniable and exciting. But I find it a frustrating game to watch. The outcome often seems arbitrary to me. A single lucky goal, refereeing error or mistake by a player can make or break the result of an entire tournament. “That’s football” they say. Hmm? 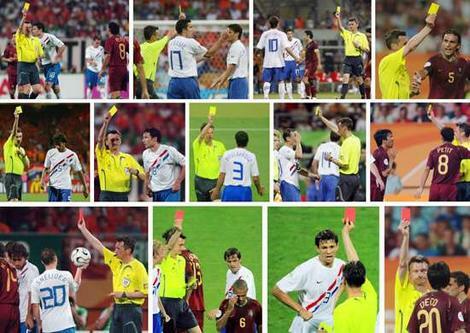 The last World Cup was marred by poor referees and bad sportsmanship. 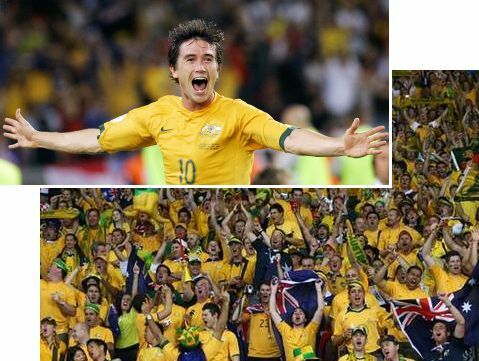 In Australia’s 2-2 draw with Croatia, which saw Australian advance to the round of 16 with a goal by Harry Kewell (pictured). The referee lost the plot more than once and booked Croatian Josip Siminic three times before red-carding him after the final whistle. Then there was the the ridiculous nonsense that occurred in the Holland v. Portugal match, with 16 yellow and 4 red cards issued! Nobody’s fooled by diving (except the referee); thus Michelle Kauffman in the Miami Herald 27 Jun. 2006, writing about the Australia v. Italy match. What happened in Kaiserslautern on Monday . . . was disgusting. That film clip, which is very real, clearly shows Italian player Fabio Grosso taking a dive Greg Louganis would be proud of, tumbling over the prostrate Australian defender Lucas Neill in the penalty box, just as time is about to expire at 0-0. Grosso crumpled into the fetal position, and peeked out to see if referee Luis Medina Cantalejo bit. He did. A few seconds later, Francisco Totti lined up a penalty kick, scored, and Italy advanced to the quarterfinals. Australia got a long plane ride home, and four years to wonder what would have happened had they played extra time. It was [a] blatant example of unpunished cheating going on at this World Cup. For, what else is diving if not cheating? A player who is barely touched launches himself at the ground, feigns injury, and tries to con the referee into a penalty kick or free kick. Often times, he is carried off on a stretcher, at which point he takes a swig of water, brushes off his shorts, and rejoins the game at full speed. It has been going on for decades now, and it is still just as wrong. Millions of Americans are watching World Cup soccer this year. But what are they seeing from some of the best players in the world? Flopping, diving and yelling at the referee. Is this really what we wanted our young soccer players to learn? … Italy and Australia battled through a thrilling match for some 95 minutes. Just as the game was about to go to overtime, an Italian player stumbled in the box — the area around the goal — and executed a world-class flop, going down as if he’d stepped on a high-voltage wire. A penalty kick was awarded, Italy converted the shot, and the Australians lost 1-0. 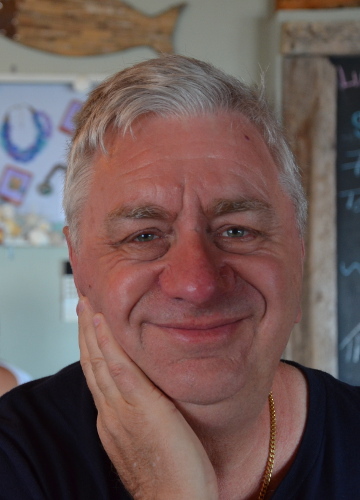 Michael Cockerill, as always, gave an interesting summary in the SMH. Franz Beckenbauer president of the German organising committee for the World Cup, called for a summit meeting of players, coaches and referees in an attempt to put an end to the “play-acting” which had blighted the tournament.” he said that he had had enough of players and coaches trying to cheat their way to victory by trying to con officials. Hopefully the Rio tournament will avoid this plague.